Kap Industries is proud to announce we are now a Sponsor on Ozfoz. 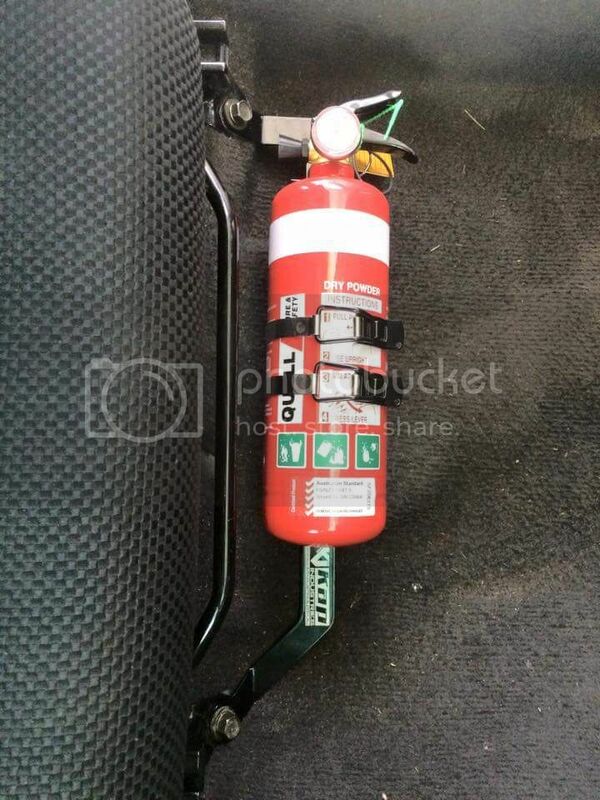 At Kap Industries we manufacture bolt in Fire Extinguisher Brackets for cars. The Brackets are designed to bolt into your car so that you don't have to Drill into your vehicles bodywork. Designed in SolidWorks, Laser cut from lightweight steel and Powder Coated to give a professional and clean look. They don't interfere with any Seat adjusters or Fuel filler latches and are non obtrusive to the Driver or Passenger. We are constantly developing our products by listening to our customers advice and comments. All Brackets come with a series of slots for easy install of Extinguishers up to 1kg, all Mounting nuts and bolts and Free Postage! Welcome aboard Russ (although, you're one of the oldest members, so you're hardly a new face! ) I wish you every success! Highly recommend these I have one in my foz maintains full seat functionality! Another happy customer here also. No fitment issues whatsoever; well designed, super sturdy, and has the added bonus of holding your passenger mat in place (assuming you went for the passenger side bracket, of course). Last edited by itsjasper on Tue May 19, 2015 8:45 am, edited 1 time in total. Good luck Russ, not that you'll need it. A good product like this always sells itself. Tip: Don't use the household no strap style bracket as it doesn't have to come to sudden and or violent stop like a car mounted version.